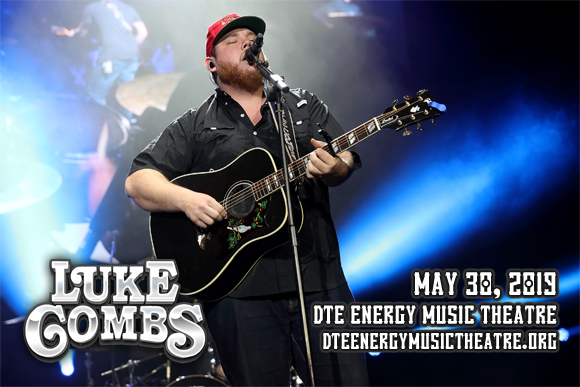 On his first ever North American arena stint, Luke Combs comes to DTE Energy Music Theatre on Thursday 30th May 2019 as part of the Beer Never Broke My Heart Tour! Taking its name from a recent single, the tour sees Combs performing hits from his number-one 2017 album This One's For You, as well as rarities and brand new material! It's gonna be one wild party! He'll be joined in support by LANCO and Jameson Rodgers! American country music singer and songwriter Luke Combs began his career in 2014, when he moved to Nashville and self-released his debut EP The Way She Rides, quickly followed by a second EP, Can I Get an Outlaw. His first single, "Hurricane", was released in 2015 and sold 15,000 copies in its first week, debuting at number 46 on the Billboard Hot Country Songs chart. Later that year, Combs released his third EP, This One's For You, and released his debut studio album of the same name on Columbia Nashville and River House Artists two years later. The album peaked at number one on the Billboard Top Country Albums chart and number five on the US Billboard 200 in its first week. In 2018, he opened for Jason Aldean and in 2019 he will headline a North American tour.